Whenever we worry about what to eat, how to love, or simply how to be happy, we are worrying about how to lead a good life. No goal is more elusive. In How to Be a Stoic, philosopher Massimo Pigliucci offers Stoicism, the ancient philosophy that inspired the great emperor Marcus Aurelius, as the best way to attain it. Stoicism is a pragmatic philosophy that focuses our attention on what is possible and gives us perspective on what is unimportant. By understanding Stoicism, we can learn to answer crucial questions: Should we get married or divorced? How should we handle our money in a world nearly destroyed by a financial crisis? How can we survive great personal tragedy? 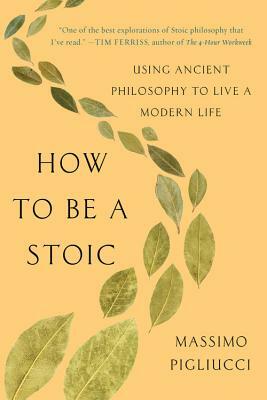 Whoever we are, Stoicism has something for us--and How to Be a Stoic is the essential guide. Massimo Pigliucci is the K.D. Irani Professor of Philosophy at the City College of New York. The author or editor of 10 books, he has also been published in The New York Times, Philosophy Now, and The Philosopher's Magazine, among others. He lives in New York City.